Another observation about Liberian markets concerns the way goods are exhibited. Generally, goods are arranged in terms of piles. Piles can be bigger, or smaller depending on the monetary value asked for them. For example, bird eye chilli pepper can be sold in regular piles, or in smaller piles sufficiently big for the cooking of a single serving of soup. Similarly, imported or manufactured food products such as spices and and condiments are repackaged into different sized sachets. For example, tomato puree comes into LBD 2 and LBD 5 sachets. Can anyone help me with some more examples? Butter? Peanut butter? Red pepper? Black pepper? Salt? Sugar? 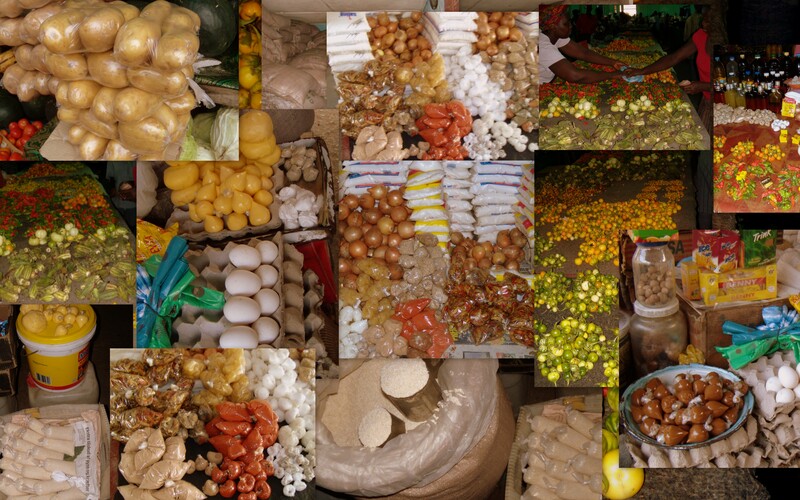 The variety and the nature of the packaging used at Liberian markets is generally in accord with the informality characteristic of Liberian markets. Nonetheless, it reveals the lack of standardisation at the marketplaces. I suppose this might pose challenges to the use of information system (by remotely located buyers and sellers) with regards to subsequent exchange. What do you think? Previous PostIDPM’s Impact Assessment CompendiumNext PostAre Women Benefiting from Moble Technology? As far as the abbreviation is concerned, I got LRD from http://www.xe.com. But I will certainly doublecheck and make corrections if LBD is the appropriate acronym. I take the point about the 5 dollar bill being the smallest. I remember making note of this during my observations. But I also remember clearly that the market traders told me that the smallest sachets they were selling cost 2 dollars. I can only guess that maybe 2 small sachets of different seasonings would cost 5 dollars. It makes sense to be paying for a relatively smaller quantity and to be getting in exchange greater variety. Does that sound right? Would anyone be able to check it for me with the market women?